The HiSeq 2500 system is a high throughput sequencing system that combines scalable output with flexible (dual) run modes which supports multiple applications, and superior turnaround times. With rapid or high-output modes and single or dual flow cell options, the HiSeq 2500 can be tuned to meet output needs ranging from 9 Gb to 1 Tb or 300 million to 4 billion reads per run. 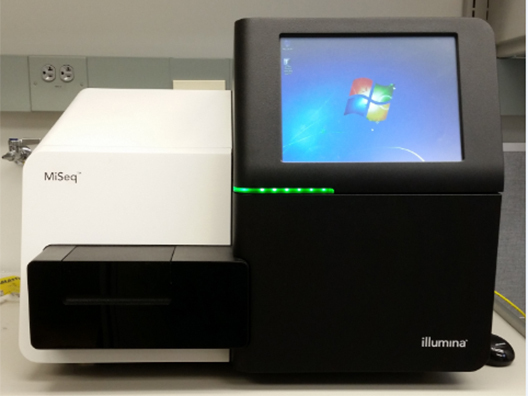 This system is a 2014 model that has recently been deinstalled by Illumina and includes a cBot. It can run the V3 high output chemistry as-is, or V4 with a hardware upgrade from Illumina. This can also run the most recent version of the rapid run chemistry. The MiSeq personal sequencing system delivers the fastest time to answer, a revolutionary workflow, and the widest breadth of sequencing applications, all in a compact and economical instrument. For results in hours, not days, MiSeq uses TruSeq, Illumina's reversible terminator-based sequencing by synthesis chemistry in combination with innovative engineering. Prepare clusters, sequence, and analyze data on a single machine with walkaway automation. 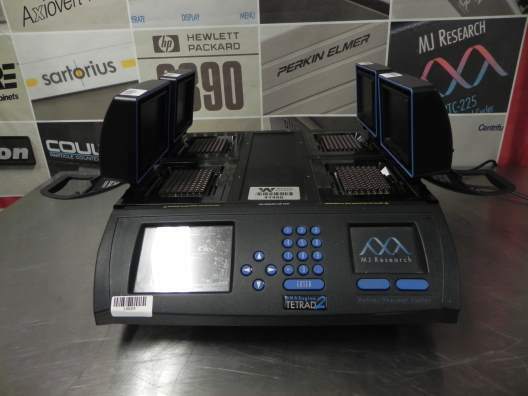 Flexible enough to handle a wide range of capillary electrophoresis and next-generation sequencing applications with the highest-quality data. It's sequencing made accessible for every lab. Of every size. Every budget. It's MiSeq. Speed. 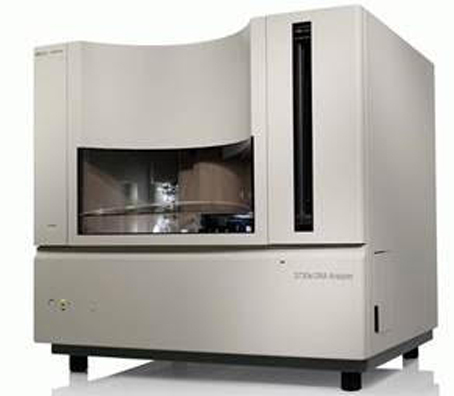 Unlike most commercially available microarray scanners, the GenePix 4000B Microarray Scanner acquires data at two wavelengths simultaneously. 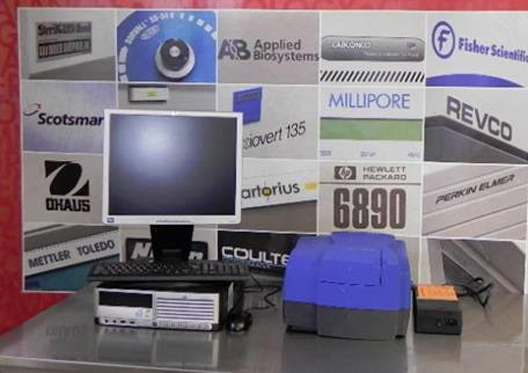 This means drastically reduced scan times and hence greater workflow efficiency. Apart from superior speed, simultaneous scanning eliminates potential errors associated with aligning two separately scanned images, and provides real-time access to data as they are acquired. Add Reliability to Your Research. The performance calibration standards that come with your GenePix 4000B Microarray Scanner allow you to check the performance when you receive your scanner and at any time in the future. GenePixïŸ… Pro Acquisition and Analysis Software includes one-touch calibration to restore any GenePix scanner to benchmark performance. You can rest assured knowing the signals you generate today are the same as a couple of years ago and in the future. Automate Your Workflow. With automated photomultiplier (PMT) balancing. The fully integrated GenePix Pro Acquisition and Analysis Software, controls the GenePix 4000B Microarray Scanner and can automatically evaluate the required PMT gain values, for fast and easy optimization of signal intensity and channel balance. The GenePix 4000B Microarray Scanner then acquires data at your selected resolution between 5-100 micron, allowing the adjustment of image resolution and file size for each experiment. Get More Published. 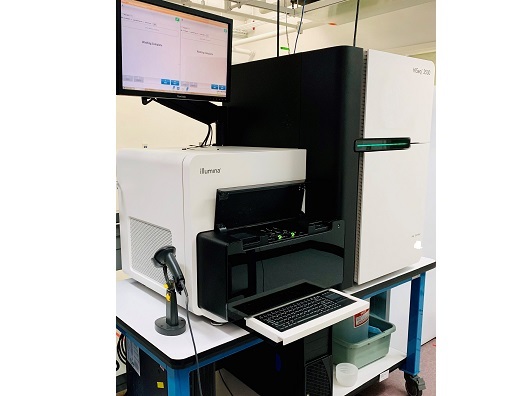 For over 10 years and close to 6000 literature references, the GenePix 4000B Microarray Scanner has expanded the overall sample compatibility, with user-adjustable focus offset and laser power settings. This allows proper imaging of slides with either a raised surface, as with membrane-coated glass, or a recessed surface, as in embedded arrays. Scan area: Adjustable, 22 x 71.5 mm max. Genomics: Directed at the genome sequence itself, microarrays have been used to identify novel genes, binding sites of transcription factors, changes in DNA copy number, and variations from a baseline sequence, such as in emerging strains of pathogens or complex mutations in disease-causing human genes.